R . Movies Icontest, Theme: Romantic Film. 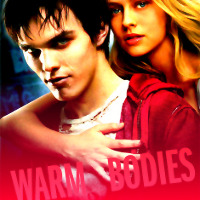 Images in the Nicholas Hoult club tagged: photo nicholas hoult warm bodies r.
This Nicholas Hoult icon contains portrait, headshot, and closeup. There might also be attractiveness, appeal, hotness, top, support hose, and support stocking.